Ebola Battlers Can Learn From Venice's Response To Black Death : Goats and Soda The city fathers didn't understand the plague they faced in the Middle Ages. Yet they improvised brilliantly. A new paper explains how their mindset is a model for how to face an unknown threat. Venetians celebrate during the Festa del Redentore in Venice. 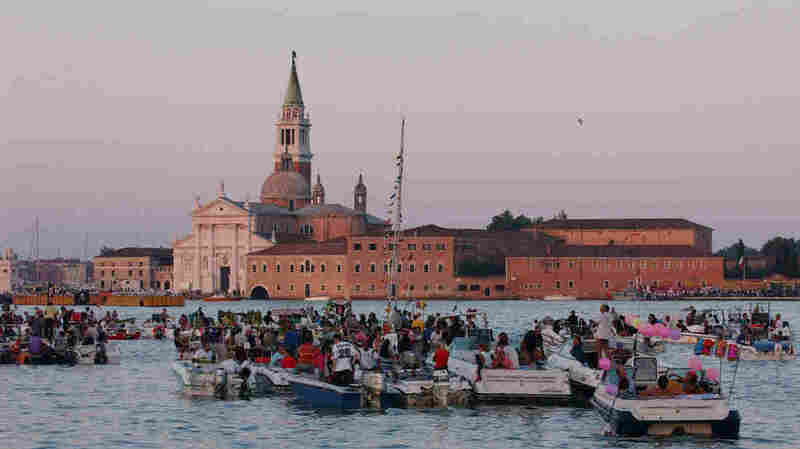 The festival began in 1576 when the Republic's Senate voted to build a church on the Giudecca Island to Christ the Redeemer to thank God for the city's deliverance from the Plague. Patients "driven to frenzy by the disease, especially at night ... went here and there, colliding with one another and suddenly falling to the ground dead." No, it's not a scene from the modern-day Ebola outbreak. It's a description from Venice of a hospital ward during the plague that first struck the city in the mid-1300s. Venice, as an international trade center, was especially vulnerable to the Black Death. And it was especially innovative in devising responses to the disease. Venice established what's often considered to be the first quarantine hospital, or lazaretto, in 1432. (The word quarantine derives from the Italian for "forty," as in forty days of isolation.) The lazaretto sat on an island in the Venetian Lagoon and was "so big that from afar it resembles a castle," according to an observer. It could seem, as another writer put it, like "hell itself," with "groans and sighs ... without ceasing," not to mention "foul odors [and] clouds of smoke from the burning of corpses." Later, a second hospital was established, on a different island, largely for people who were thought to have come in contact with the disease yet were not sick. Merchants who hoped to trade in the city also had to spend time on these or other islands until deemed healthy. In the worst years a flotilla of boats provided additional space for patients. Titled "Risk and Resilience Lessons from Venice," the article is a manifesto in favor of "resilience," a trendy concept in risk-management circles. Traditional risk management, the authors argue, requires predicting the likelihood of various specific crises and devising specific solutions: Building a levee of a certain height, for example, to protect against a range of likely levels of storm surge. In plague-era Venice, given the primitive state of medicine, many approaches proposed by "experts" ranged from clearly useless to, well, almost certainly useless. Some Christians, thinking the plague was a sin, scourged themselves to appease God. The more superstitious put stones or bricks in the mouths of the dead to prevent them from eating their way out of their coffins. The state of science was not sufficient to prove or disprove such approaches, so the city let such endeavors coexist alongside other experiments. Working on the loose assumption that the plague was transmittable through contact, city leaders tried quarantine, which separated the sick from the well without shutting down the life of the city entirely. 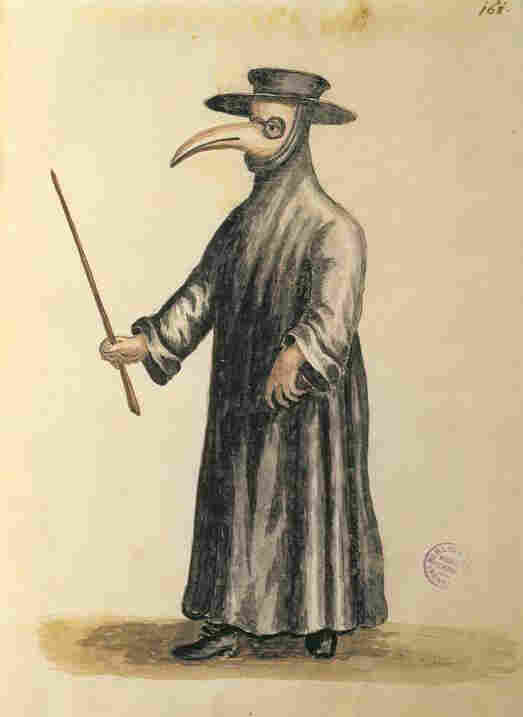 They oversaw the creation of special clothing for doctors, including beaked masks, filled with vinegar — an early kind of respirator. There are lessons for today, Linkov and his colleagues argue. (Indeed, resilience theory was the subject of meetings this month at the National Institutes of Standards and Technology, and the National Academy of Sciences.) Just as modern Venice is erecting multibillion dollar sea walls to protect the city from rising seas, the U.S. is investing heavily in levees and walls, to prevent a repeat of the post-Hurricane Sandy woes. But Linkov says that such preventative measures need to happen alongside efforts to prepare local communities to cope with the unexpected — and to change course in the midst of disaster. Governments can identify vulnerable populations in advance, they can make evacuation plans, and they can propose staging areas where people wait out the worst of a storm. Lines of communication between government and citizenry, and expectations for action, need to be established in advance. It's a long way from plagues, but consider blackouts. It is difficult to design a multiply redundant electrical grid that will never fail, Linkov says. "But if blackouts are very short, most people are willing to tolerate them, especially if they have been trained." That kind of training can mark the difference between resilience and a system that will collapse into chaos when stressed. The challenges may have changed since the 1400s, but the advantages of certain nimble approaches to crisis persist, the authors say. The Ebola epidemic has already taken unexpected turns. When you don't have all the answers, resilience becomes all the more crucial.